Last year, Marvel Studios joined Sony and Paramount in sitting out San Diego Comic-Con, that most auspicious gathering of nerds on the West Coast (and seasonal Big Bang Theory destination). The decision might have been based on Marvel not feeling it had much to promote at the time, or maybe the company just didn’t want to compete with all of Disney’s Star Wars stuff (we kid, we know they’re all one big, happy family). Instead, Marvel showed off Captain America: Civil War and The Jungle Book clips at Disney’s D23 Expo (see what we mean?) last August. 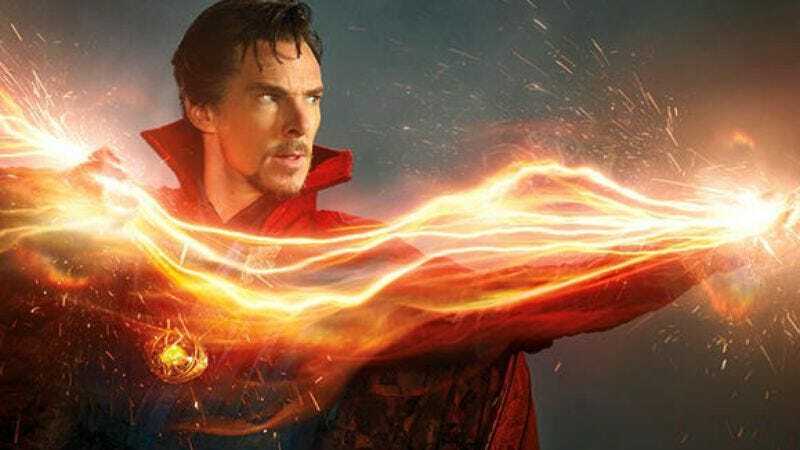 But now the studio seems to have remembered that it actually has a whole new phase of films to show off, including Scott Derrickson’s Doctor Strange and James Gunn’s Guardians Of The Galaxy Vol. 2. For now, only those two directors are hinting at Marvel’s return to Comic-Con, but they sound pretty convincing. Showing off the kind of camaraderie you’d expect from filmmakers Marvel would have at its disposal, Derrickson and Gunn appear to be gearing up to descend upon the geeky hordes at this year’s Comic-Con, which runs from July 21-24. We’re sure the two directors will have plenty to talk about with respect to their upcoming films, but if Marvel is still hurting for ideas, maybe it can announce who the wallflowers will be at Spider-Man: Homecoming, or just tell us what we should call Avengers: Infinity War already.